The refrain is a common one these days: It’s been almost three years since the Flint Water Crisis began, and residents of the city still do not have access to clean drinking water. A nightmare case of municipal mismanagement and negligence, the crisis’ damaging impact on the city’s residents and the region will be felt for a lifetime. While law firms, legal aid organizations, and Michigan’s attorney general have all joined the fight for Flint residents in court in a slew of civil and criminal suits, lack of precedent and technical legal obstacles have made the road to relief for residents a slow and painful one despite the one-sided case for justice. The first civil lawsuits filed in the crisis started to filter in in mid-2015, but the floodgates opened in early 2016, with plaintiffs filing fifteen major suits throughout the year, several of them class-action. Several of these cases were united by two similar legal theories. First and foremost is the violation of several provisions of the Safe Drinking Water Act (SDWA), the primary legislation regarding the state’s duties to ensure safe drinking water for the American public, and the EPA’s Lead Copper Rule. At least four of the suits primarily allege direct SDWA violations. Unfortunately, one major roadblock stands in the way of recovery under the otherwise legally sound SDWA suits. Under the concept of sovereign immunity, a citizen cannot recover in retrospective from state actor unless the state consents to the suit. At least one case, Concerned Pastors for Social Action v. Khouri, has managed to succeed under the SDWA, but only for declaratory and preliminary injunctive relief, not for any sort of recovery. Furthermore, Michigan state law contains some select provisions that make recovery against state government officials in the Flint case especially difficult. Under MCL 691.1407, a state official is liable in tort if that official’s conduct amounts to “gross negligence,” a level of conduct that evinces “substantial lack of concern” for injury. But a subsequent provision in this section immunizes elected and high-level appointed executive officials from liability entirely as long as these officials are acting within the scope of their authority. This makes successful suit against state officials like Governor Rick Snyder – one of the principal defendants in the Flint cases – difficult if not impossible. In addition, University of Michigan Law School Professor Gil Seinfeld notes that while sovereign immunity does not protect municipal governments, suit against the cash-strapped city of Flint and its officials would be merely vindictive rather than lucrative. A second legal theory uniting these cases is a violation of Flint residents’ Constitutional rights under the 14th Amendment and 42 U.S.C. § 1983. This theory appears to provide more fertile ground for relief because, generally, § 1983 claims allow plaintiffs to circumvent federal and Michigan sovereign immunity laws by alleging violation of a Constitutional provision. 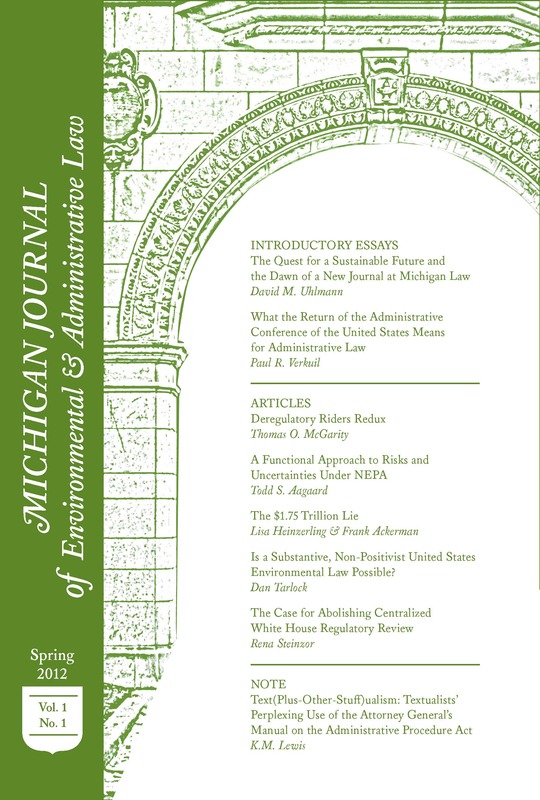 However the Eastern District of Michigan (EDMI) ruled early last month, citing a First Circuit case (non-binding precedent), that allowing the Flint § 1983 claims to proceed would override “Congress’ carefully tailored scheme” designed to “entrust the regulation of the public drinking water systems to an expert regulatory agency rather than the courts.” The EDMI has already struck down three cases this year – two of them class actions – using that rationale that brings plaintiffs back to square one under sovereign immunity. There is one avenue for civil recovery that looks promising. Already, Flint residents and the state of Michigan have brought suit in state court against two companies, Lockwood, Andrews & Newnam (LAN) and Veolia North America, for their role as contractors and safety evaluators during the switch to Flint River water. The lawsuits argue broadly in negligence and fraud claims that LAN “did not require corrosion control to ensure that corrosive water was not delivered throughout Flint’s aging water system.” There is at least one similar matter developing in Southern California, where a natural gas leak outside of Los Angeles has led to numerous lawsuits against the Southern California Gas Co., the private utility in charge of the facility that developed the leak. The company has already reached an $8.5 million civil settlement with a state regulator, but suits with residents are still pending. While the SoCal Gas Co. appears to have had a larger and more direct causal role in the Aliso Canyon gas leak than do LAN and Veolia in the Flint Water crisis, it is encouraging to see plaintiffs’ firms willing to take on similar work for city residents and to see courts recognizing the liability of private companies involved in public utilities. While the path to civil relief looks rocky, Michigan’s attorney general is still bringing criminal cases. In total, the state has brought charges against thirteen officials, mostly mid- to low-level officials but also including two emergency managers. The charges include violations of misconduct in office and specifically “false pretenses . . . conspiracy to commit false pretenses . . . misconduct in office . . . and willful neglect of duty” against the two emergency managers, alleging that they falsely obtained bond money to fund the water project that let to the use of Flint River water. Michigan’s Attorney General Bill Schuette promises that his office is “moving up the chain”. However, while two of these cases have already reached plea deals, there is little precedent with respect to drinking water cases to guide any sort of forecast here. Despite the recent progress in criminal charges, it is frustrating to see limited hope for Flint residents who surely deserve compensation for the damage to their health and livelihoods. Success in court only appears available to lawsuits targeting lower level officials who do not have sovereign immunity, or private actors involved in the planning or execution of Flint’s disastrous water plan. In addition, plaintiffs appear to suffer fewer roadblocks in state court rather than federal court. However, these qualifications will be of little assurance to residents. The lack of legal precedent in the Flint Water Crisis underscores not only the difficulty of plaintiffs’ claims, but also the entire crisis’ uniqueness in both its scale and degree. *André Rouillard is a Junior Editor on MJEAL. He can be reached at andrer@umich.edu. Colleen Healy, Flint Water Crisis – Summary of Civil Litigation, The Network for Public Health Law (July 19, 2016), https://www.networkforphl.org/_asset/12x7ul/Flint-Litigation-Summary-Table.pdf. Sovereign Immunity, Cornell U. L. Sch., https://www.law.cornell.edu/wex/sovereign_immunity (last visited Mar. 12, 2017). Concerned Pastors for Soc. Action v. Khouri, 844 F.3d 546 (6th Cir. 2016). Mich. Comp. Laws. § 691.1407 (2016). Amber Phillips, Criminal Charges Were Just Filed in Flint. But Suing Over the Water Crisis Remains Very Difficult., The Wash. Post (April 20, 2016), https://www.washingtonpost.com/news/the-fix/wp/2016/01/26/why-it-will-be-very-difficult-for-flint-residents-to-sue-the-state-of-michigan-for-money. Nick Daum, Section 1983, Statutes, and Sovereign Immunity, 112 Yale L.J. 353 (2002). Mays v. Snyder, No. 15-14002, 2017 WL 445637, at *3 (E.D. Mich. Feb. 2, 2017). Jennifer Chambers, Judge Dismisses More Flint Water Crisis Lawsuits, The Detroit News (Feb. 7, 2017), http://www.detroitnews.com/story/news/michigan/flint-water-crisis/2017/02/07/flint-water-lawsuits/97595944. Mitch Smith & Julie Bosman, Michigan Attorney General Sues Two Companies Over Flint Water Crisis, The N.Y. Times (June 22, 2016), https://www.nytimes.com/2016/06/23/us/flint-water-crisis-michigan.html. Amanda Bronstad, As California Gas Leak Spews, Suits Pile Up, The Nat’l Law Journal (Jan. 12, 2016), http://www.nationallawjournal.com/id=1202746918683/As-California-Gas-Leak-Spews-Suits-Pile-Up. Tony Barboza, Southern California Gas to Pay $8.5 Million to Settle Lawsuit over Aliso Canyon Leak, L.A. Times (Feb. 8, 2017), http://www.latimes.com/local/lanow/la-me-gas-leak-settlement-20170208-story.html. Merrit Kennedy, Two Former Flint Emergency Managers, Two Others Face Felony Charges over Water Crisis, Nat’l Public Radio (Dec. 20, 2016) http://www.npr.org/sections/thetwo-way/2016/12/20/506314203/2-former-flint-emergency-managers-face-felony-charges-over-water-crisis. Amy Haimerl & Abby Goodnough, Six More State Workers Charged in Flint Water Crisis, The N.Y. Times (July 29, 2016), https://www.nytimes.com/2016/07/30/us/flint-michigan-water-crisis.html. Monica Davey & Mitch Smith, Two Former Flint Emergency Managers Charged over Tainted Water, The N.Y. Times (Dec. 20, 2016), https://www.nytimes.com/2016/12/20/us/flint-water-charges.html.